Skulls And Kisses | UK Lifestyle and Alternative Fashion Blog. 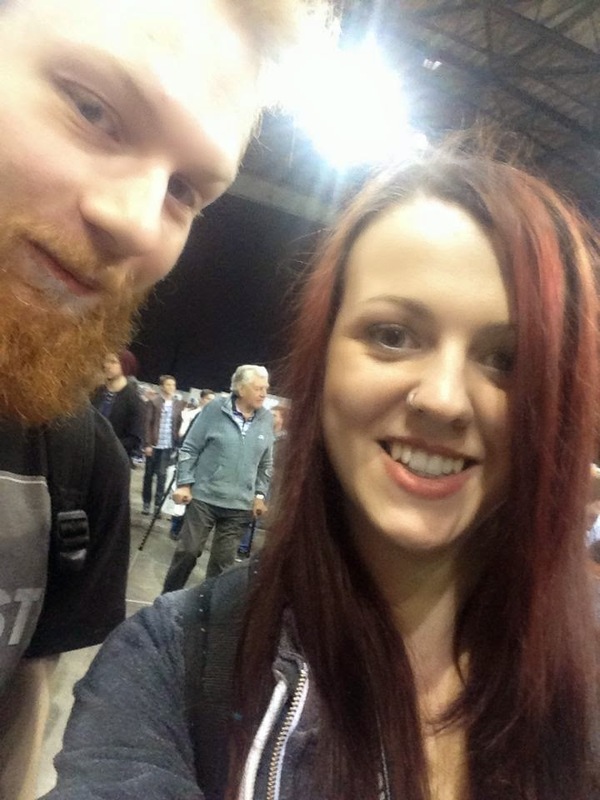 : Newcastle Film & Comic Con 2015! Newcastle Film & Comic Con 2015! Last Saturday was quite possibly one of the best days of this year no doubt about it, I got to spend the entire day with one of my best friends at Comic Con and it was AMAZING. I wore the most amazing dress from Hottopic, I'm so in love with it, I want to be R2D2 every single day. We arrived at the Arena nice and early we had to queue for quite a bit but that wasn't too bad as there was a fair few amazing costumes to check out while we did. Once inside we knew the first thing we had to do was check out the stalls, and check photo times, I was meeting James Marsters at about 11 so we had a few hours to wander about and spend our pennies, I was super happy to get my hands on both the Spike Pop! Vinyls and I got myself a Buffy comic which is amazing and I'm going to have to buy them all! Chris on the other hand got some proper good comic deals and got the Iron Man one where Tony's an alcoholic, it's got such a beautiful cover! We went to queue to meet James which I'll talk about later and then decided our feet needed a break so choose to sit in through the Wrestlers talk which was pretty cool. ^ Need this cookie jar soooo bad for when I move out! ^ OMG ITS DAVE PROWSE AKA DARTH VADER! One of my favourite things about Comic Con was the amount of comics on offer, so many that are probably worth a fortune and some that if I'd have had more money I'd have definitely picked up. I don't really read comics anymore but I still love looking at them especially the cover art, the weekend definitely inspired me to start reading them again. I also loved how much effort people put into their costumes! Check this guy out man, he's Tyresse from the Walking Dead, he was my favourite I mean it was such a good costume so original annd he even had Judith! The guy dressed as Iron Man made his own costume too it was amazing the detail was unreal. ^ We got a selfie with Dave Prowse in the back! We decided to queue for the Star Wars talk super early, we'd wanted to go to the Todd from Scrubs talk but the queue was ridiculous so we had to make sure we made the Star Wars one, we were practically front row and it was the best thing ever. Jeremy Bulloch (Boba Fett) is hilarious and such a cutie I want to be his friend so bad and Dave Prowse was just so funny, he got asked what his favourite memory of Star Wars was and he said getting his first pay cheque! Love him so honest. 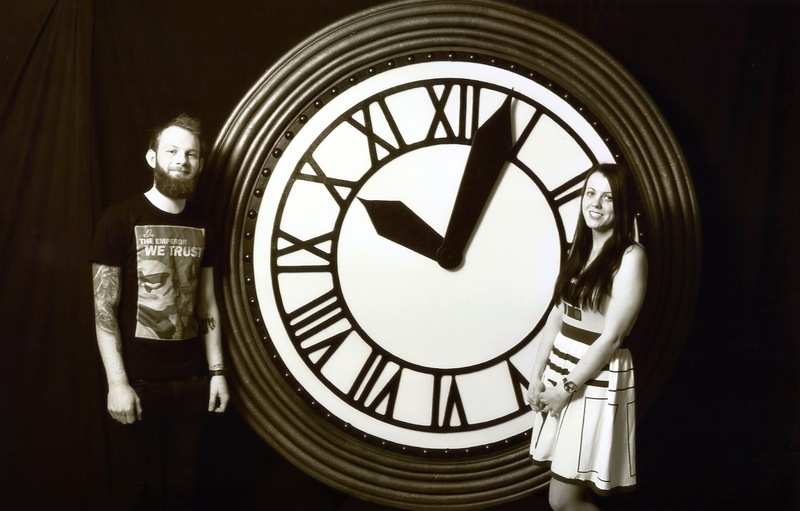 Me and Chris got a photo too with the Clock from the Clock Tower in Back To The Future! 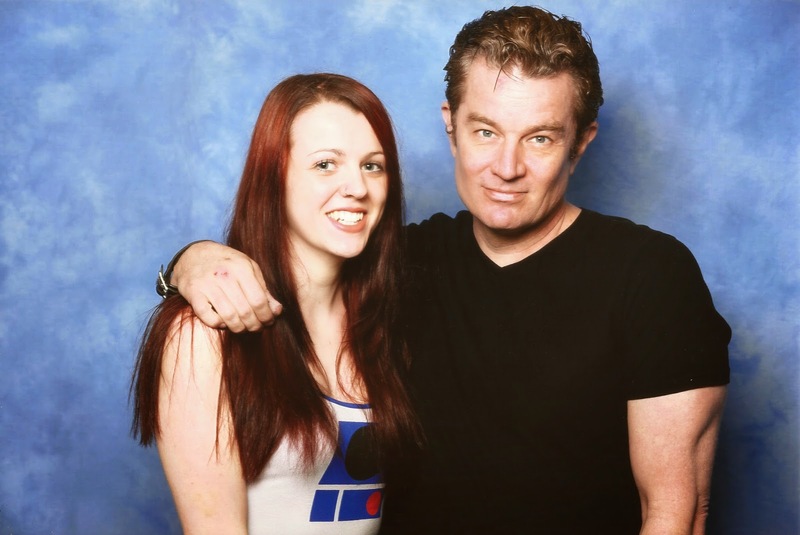 Finally here I am with James Marsters (Spike from Buffy), if you know me you will know how much I love Buffy, I used to fancy Spike so much and tbf I still fancy him in that role haha. When I saw him I couldn't actually form a sentence I just looked at him and was like HI! And he was super nice but kinda looked at me like I was weird probably because I couldn't speak to him because I was too amazed to be in his presence. I mean look at my smile man far too happy. I had the bestest day, I got to meet Spike and I spent the day best friend before he moved away and literally it was one of the best days I've had this year. Even though I couldn't feel my legs or feet on the Sunday from all the walking about! Definitely going to try and get to a bigger one next year like London or Manchester! Aww you little cutie, you look so happy! I love seeing all the different costumes!